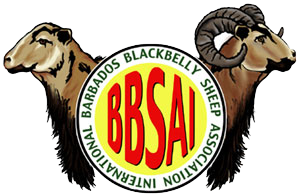 Barbados Blackbelly Sheep — Raising Sheep The Easy Way! The Barbados Blackbelly breed originally developed on the West Indies island of Barbados from hair sheep brought in by African slave traders during the 1600s. In 1904, the USDA imported four ewes and a ram to Bethesda, Maryland. Over the years, offspring from this original flock, plus sheep imported from Mexico and South America, established additional “colonies” across the U.S., particularly in Texas. Because the Barbados Blackbelly is a small-framed sheep, the USDA crossed it with Rambouillet and then European Mouflon to develop a larger meat sheep while retaining the no-shear hair coat and the breed’s prolificacy, disease resistance, and parasite tolerance. This cross has been a wellspring from which many significant breeds of sheep have evolved. Perhaps none is more dramatic and popular than the American Blackbelly. Several years ago, a number of Barbados Blackbelly breeders began to selectively breed the Barbados Blackbelly to purge the characteristics of the two crosses and to return the breed to its original color conformation and characteristics. It was only then that breeders realized the critical state the breed was in. The 2004 census indicated that there were fewer than 200 Barbados Blackbelly remaining in the U.S. Of those, fewer than a half dozen were breeding rams. Through a cooperative breeding effort, by 2007 the census has doubled, but the U.S. population is far from recovered. With such a small genetic base and fewer than a dozen breeders, the breed remains endangered in the U.S. and desperately needs more conscientious breeders to help in the recovery effort. In contrast, the population of the American Blackbelly probably exceeds 100,000. Exact numbers are unavailable because so many flocks roam wild across Texas rangelands. The American Blackbelly’s popularity was accelerated in the 1970s when the trophy hunting industry included it in their sportsman’s “grand slam” package. Although the American Blackbelly retains the dramatic markings of the Barbados Blackbelly, it is the presence of a pair of magnificent horns on the ram that separates it visually from its parent breed. The horned American Blackbelly is known throughout much of the country by various names, including “Barbado” and “Corsican.” These regional names often are used to describe similar breeds in which the black belly is absent. The close similarity of American Blackbelly and Barbados Blackbelly leads to frequent misidentification, contributing to the near demise of the latter. In 2005, the BBSAI decided to clear up the confusion and to recognize and record this remarkable animal by giving it a distinct and meaningful name, American Blackbelly, and a permanent, unmistakable identity in the form of a separate breed standard. Because of the much broader genetic base of the American Blackbelly, they are much easier to obtain than the rare Barbados Blackbelly. The breeder of American Blackbellies has innumerable markets for which to select and improve his breeding animals, from pets to prolific meat sheep. The belly and inside of the legs are black. American Blackbelly rams have horns; Barbados Blackbelly rams are polled (naturally hornless). The Association offers a more detailed Standard of Excellence and qualifications for registry for both the American Blackbelly and the Barbados Blackbelly sheep breeds. Optimally, a ewe is first bred no earlier than 6 months of age and thus will lamb at 13 months. Some ewes do lamb earlier, and some may even twin the first time. Thereafter, a good ewe will birth twins about four out of five lambings, and triplets are not uncommon. A good ewe will lamb as frequently as every 6 months, and most will lamb about every 8 months. Ewes will breed back before their lambs are weaned. The gestation period is five months (153 ± 8 days). Ram lambs can breed as young as 4 months, but most become fertile at 6 months. Blackbelly lambs are small; singles weigh up to about 8 lb and most twins weigh 4 to 5 lb. Ewes rarely require assistance during lambing, are excellent mothers, and quickly bond to their lambs. The mothers isolate their babies from the flock on their own, finding shelter from cold winds and heavy rains, and bond during the first 24 hours. Blackbellies are hair sheep and need no shearing. They grow a long winter coat of hair with a very fine undercoat of wool of varying thickness. The undercoat sheds first and is held by the long guard hairs until the sheep rubs both fibers off in clumps. The colder the climate the heavier the coat; it adapts to the tropics as well as northern Canada. The tails do not require docking because the hair does not retain manure or debris. The Blackbelly is a shearless wonder! Blackbellies do well on many kinds of feed, including whole grains, crushed corn, rolled oats, sweet feeds, and mixed rations. Many breeders feed only alfalfa hay with no grain at all. The Blackbelly requires less feed than larger wool breeds and, if necessary, will maintain condition when offered poorer hays. We recommend that you always offer mineral supplements. Be very careful to select feed and minerals appropriate for sheep in your area. Many non-sheep feeds contain levels of copper that are toxic to sheep and can kill them. Blackbelly sheep have a reputation for being disease and parasite resistant-much more so than the wool breeds. Good management and pasture rotation will minimize parasite problems. There are no known cases of scrapie in hair sheep. The Blackbelly thrives in all climates and seeks shelter when necessary. Blackbelly meat is unsurpassed by other red meats. It is low in fat and cholesterol but high in protein, which makes it a very healthful choice. There is no muttony taste, even in 2-year-old rams. Unlike meat from most wooled breeds of lamb, Blackbelly meat is very mild flavored and lean, like venison. It is a favorite among ethnic groups, who prefer it over beef.